Write Useful, high quality and content that are related to your blog niche.A Quality Content is not a long and boring post it should be useful and informative so that users can easily understand and grab the information what you want to tell in your article.When you write High-quality content your blog, users will spend more time to read your post and for gathering information, It will increase the Dwell Time.Now you might think What Is Dwell Time..?look at below definition. Dwell Time: Dwell time is the actual length of time that a visitor spends on a page before returning to the SERP. When users spend more time on your blog because of Dwell Time ranking of your blog increases on Search Engine. Based on this, an article between 1500-2000 words ranks high on Search Engine.But don't do keyword stuffing to make the post longer.So you need to focus on your article also. Building backlink is the main part of SEO of your blog.This can be the reason for your blogging success.But if your content is not good and if you make millions of backlink then again your blog rank will be at zero position.Because of Pogo Sticking and Bounce Rate so don't make backlink from any blog or website try to make backlink from your content related blogs.Backlinks are two types Dofollow and Nofollow both are important. These days, one of the most important type of link building that we are all neglecting is “Internal link building” which is greatly important and it can be the magic you need to boost your blog posts rankings.Internal link building makes users busy on your blog. Google and other search engines consider page loading speed and user experience into in their website ranking algorithm.If your website loading speed is low users will leave your site.It can hurt on Dwell Time which can increase Pogo Sticking and Bounce rate.So you should optimize your site load speed. Image optimization is also an important part of SEO.When you add images to your blog you should optimize it.Apart from image file format and sizing, there are other ways you can make your image search engine friendly. You should use.....Image File Name, alt tag, title, description and caption in your image then image will be optimized image. Alt Tag: It is the text that the search engine uses to understand images. 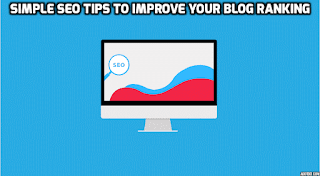 As you can see SEO-tips.png is the file name and alt tag is SEO tips.When a user performs an image search on google with keyword SEO tips then your image will be visible on the search page, from there you can gain some visitor to your site. As Search engine spiders are text-based they can't recognize images and videos.So the uses of alt tag helps spiders to recognize an image. Your blog should be optimized for mobile users.Because we all are using mobile most of the time for browsing internet. Use a responsive theme that can automatically optimize your blog or use a custom theme for mobile users.If you want custom mobile theme then you can use MobilePress plugin or the Jetpack mobile theme feature. These are the simple SEO tips that I am using now.Share some other SEO tips do you recommend. 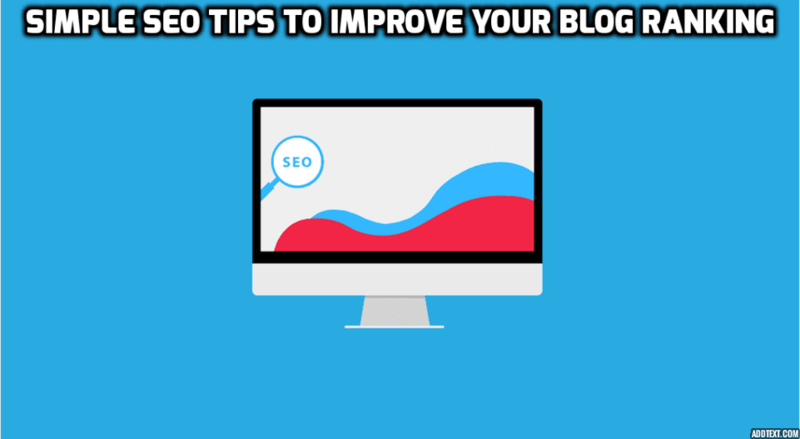 I hope you loved this article Simple SEO Tips To Improve Your Blog Ranking.So now please share this post using share buttons below. Very Good article to learn SEO.